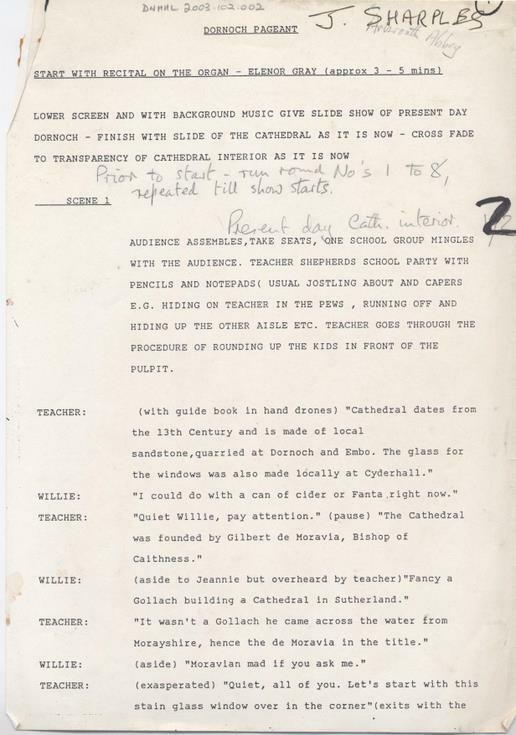 Script and associated papers for the 1989 celebrations for Dornoch Cathedral. 49 pages, some stapled. Typed/photocopied with handwritten notes. Name on the top of the first page is J Sharples who was responsible for the back projection at the pageant. Some staining on many pages from the staples rusting.